A house belonging to a Hindu family in Bangladesh was allegedly set on fire, making it the third such recent incident targeting the religious minority, ahead of the general election on Sunday. Ananda Chandra Barman's home at Jhapartali village in Thakurgaon Sadar Upazila caught fire around 10 p.m. on Thursday, said the area's fire service station master Mofidar Rahman Khan. "I saw my house on fire and I smelled petrol. 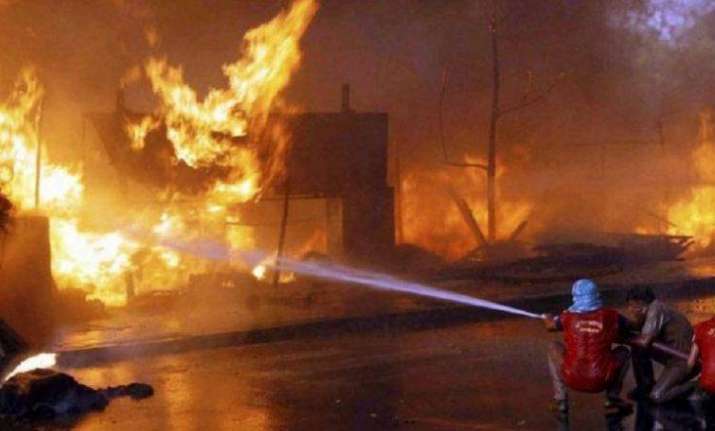 The huts burned down in five to seven minutes," Barman told bdnews24.com. "Someone used petrol to set my house on fire to scare our Hindu community and keep us away from voting in the upcoming election," he added. According to the report, so far three homes (including this incident) belonging to Hindus have been torched. Akhanagar Union Parishad Chairman Nurul Islam sought support from the police against the perpetrators of the torching of the minority community's homes. The police said they were investigating the incidents.